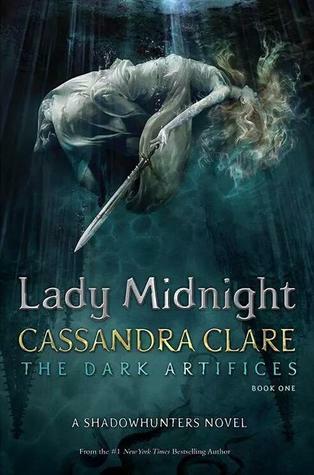 This weeks Waiting On Wednesday is Lady Midnight by Cassandra Clare! OH MY GOODNESS! Okay, I know this book isn’t coming out for a looonng time, but I chose this one for two reasons. One, they just revealed the cover this past weekend at NY Comic Con ( Isn’t it pretty?). Two, I love Cassandra Clare. I love, love, love, love, love her. Get it yet? I cannot wait for this book to come out!! Not only is it the next part of the Shadowhunters universe, but it takes place in my home state/city! Well, I’m from Orange County which is smack dab in the middle of Los Angeles and San Diego, but I know where everything is and I have been to most of them. So.. I’m excited. Actually, I think excited might be a little bit of an understatement. *Creepy Gollum voice* My precious……. I have’t finished all The Mortal Instruments books yet. I feel like Jace turned evil for at least the second time and I sort of lost interest. I have been meaning to carry on reading them forever though. I haven’t even started to spin offs yet! Maybe by the time this one comes out I’ll be almost up to date. I do really like the sound of the plot. I loved the Infernal Devices so much!! I also really liked how in the last TMI book Cassie introduces the characters of this one : ) only now this book takes place ten or so years later. Cassandra is queen in my opinion, she has this power to make me want absolutely everything that comes from her hands, lol. I really like the cover, too! I think the blue is so beautiful : ) I also like how this cover is a mixture between the old and the new ones.